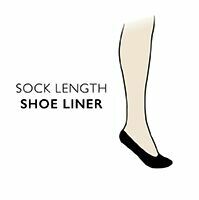 Going ‘sockless’ might be a popular fashion choice, but in a pair of hard-soled shoes, your feet won’t thank you for it. These Levis 168SF Plain Cotton No Show Socks will keep your style cred intact and please your feet too. Made from a superior combed cotton rich blend, these under ankle socks have lightly cushioned soles, knitted in arch support bands and air flow vents, keeping you cool, comfortable and cushioned - invisibly. Supplied in a twin pack, Levis 168SF Plain Cotton No Show Socks have heel-gripping silicone strips, in the shape of their famous ‘batwing’ tab logo, to keep the socks in place, and are constructed with sophisticated hand linked toes for smooth seams to ensure your comfort.